St David’s Hospice depends on a team of over 300 dedicated volunteers, who work across all areas of the charity. Their support makes a vast impact on the level of service we are able to provide for our patients and their families. Our volunteers are involved in support work within the Hospice from helping in our charity shops, to fundraising out in the community. The skills that our volunteers bring with them are varied and invaluable. Without our volunteers, St David’s would not be able to carry out our vital work free of charge to the communities of North West Wales. Our kind and loyal volunteers are a treasure, contributing their experience, time and energy to help others. Whether you can offer a few hours, a regular half day or several days a week, there are many ways for you to give your time and skills. Browse through the volunteering roles to find something to suit you. 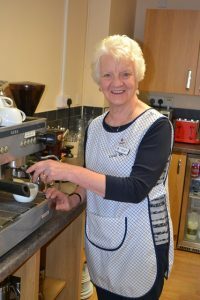 As a volunteer Café Dewi Assistant, you will contribute to the Hospice team by volunteering to carry out all duties relating to the smooth running of Café Dewi. Providing a warm welcome to visitors of Café Dewi. What skills and personal qualities will I need? You will need to attend regular training and support sessions. In Café Dewi, based within the Hospice building (Abbey Rd, Llandudno). The Hospice Fundraising Department depends on the generosity of those who give in order to keep the Hospice doors open for patients locally. Collecting cans which are placed in the community, raise in excess of £20,000.There are in the region of 500 collecting cans placed in shops, retail outlets, cafes and pubs across the Conwy, Gwynedd and Anglesey. Ensure cans are clearly labelled, numbered and sealed. Keeping a record of all outgoing/incoming cans. Flexible – You can volunteer on any day of the week, in the morning, afternoon or evening. The collecting can roles are regular and predetermined so a collecting round sheet will be provided and the regularity of collections mutually agreed prior to starting the role. Based at St David’s Hospice, Abbey Road, Llandudno, LL30 2EN but travelling to various geographical locations or a mutually agreed geographical location. All of our Day Therapy patients are able to live at home, but benefit from spending a day where they can take advantage of all of the Hospice’s services. You will help to provide a friendly and welcoming environment for patients. Assisting by sitting and socialising with patients, mainly in the public area of the day hospice i.e. lounge and dining room areas. Clearing the tables following lunch. Any non-nursing duties as required. You will need to have a friendly, caring manner and be happy to contribute to the work of a team. You will need to be able to undertake any duties required. You will need to observe confidentiality of the Hospice, its patients, staff and volunteers and other statutory regulation e.g. equal opportunities, data protection, food hygiene regulations etc. 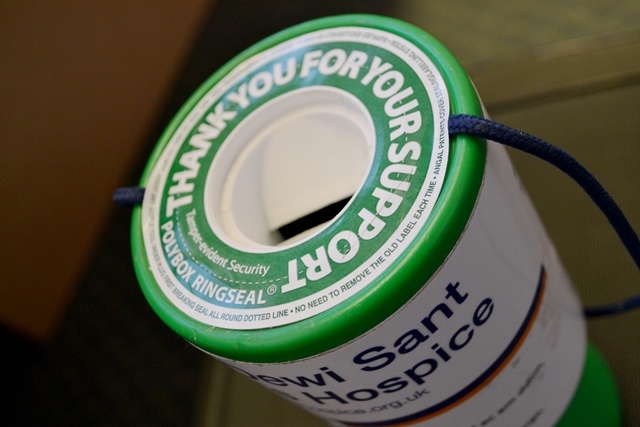 St David’s Hospice Fundraising Department is responsible for giving high level stewardship to supporters of the hospice, accepting their donations lawfully and ethically, and keeping supporters updated about the hospices work. All supporter information / data is kept securely on the hospice database (in line with GDPR) and it is vitally important that records are kept up to date so that communication preferences are respected. St David’s Hospice has a network of shops across North West Wales, selling good quality second hand clothing, bric a brac and furniture. 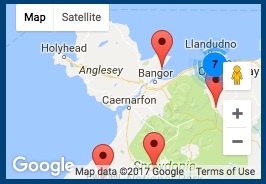 Our Donation Centres located in Mochdre and Llandudno, are where we sort and distribute all donations of stock to our Hospice shops across the region. Although we are a charity, we run our shops like the businesses they are. 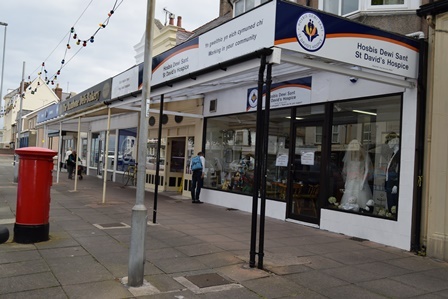 The success of our shops is a result of the invaluable help and support we get from volunteers, who work closely with the Donation Centre staff. You will offer excellent customer service to all customers. Join our friendly Shops Team to sell some higher priced donations using Ebay to contribute to the funds for the much needed work at St David’s Hospice. Write descriptions and take photographs of items to be auctioned and sold via our Ebay account. Full training will be provided and support offered throughout your time volunteering with us. To help to maintain attractive flower arrangements around the Hospice to welcome patients, visitors and staff. The role will be shared with another volunteer, to work every other Tuesday. St David’s Hospice Fundraising Department is responsible for organising Hospice events, and for coordinating community initiated events. Fundraising makes a vital contribution to the running costs of St David’s Hospice. It costs over £3 million to provide the services at St David’s Hospice. Over 86% of our income is generated through community fundraising. Count monies collected in collection cans, money cubes and bag packs. Prepare accurate records of monies counted in preparation for banking. A friendly, caring manner and be happy to contribute to the work of a team. St David’s Hospice Lottery plays a vital part in our fundraising with all profits from the lottery going directly to the Hospice. Each year the income from our Weekly Lottery pays for a third of our nursing costs. Promote the sale of single lottery tickets. Events will include local agricultural shows, selling single lottery tickets &/or scratch cards at locations such as Llandudno Pier, agricultural shows, community events and many others to be determined. Variable depending on the event but could be either a whole day or possibly shifts, volunteering alongside existing members of staff. Preparing promotional items for sale such as Christmas crackers to be adapted for promotion with Lottery single tickets. As a volunteer at the Llandudno Magistrates Court Tea Bar, you will contribute to the team by to carry out all duties relating to the smooth running of the volunteer led Tea Bar. Our patients attend the Day Therapy Unit for a variety of reasons -specialist medical and nursing care from a full, professional team, the chance to meet others in similar situations or simply to allow their carer some respite for one day a week. To be sensitive to the patients’ needs and comfort throughout the journey. Chatting to patients as required and being a friendly, caring listener and communicator, always respecting confidentiality. A full unrestricted UK driving license is required and use of your personal vehicle, which will be up to date with all aspects of running a vehicle. You will need to have a friendly, caring manner. You will need to observe confidentiality of the Hospice, its patients, staff and volunteers and other statutory regulation e.g. equal opportunities, data protection etc. To contribute to the Hospice team by carrying out Reception duties on the Inpatient Unit desk. Provide an efficient reception service as the first point of contact to the inpatient unit. Operate the inpatient door entrance system. Greeting visitors and showing them to the relative’s lounge or patient rooms if appropriate. Receiving telephone calls, taking messages and passing these on to clinical staff. Taking donations and providing a receipt ensuring all relevant information is documented on donation paperwork. Ordering and cancelling newspapers for inpatients. You will need to observe confidentiality of the Hospice, its patients, staff and volunteers and other statutory regulation. To contribute to the Hospice team by carrying out duties on the main reception desk. Ask visitors to sign in and out of the Hospice. Assist with other departmental admin tasks if required. 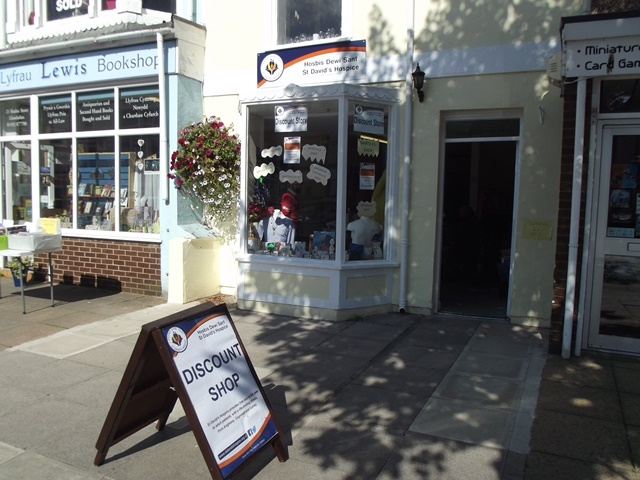 Although we are a charity, we run our shops like the businesses they are. The success of our shops is a result of the invaluable help and support we get from volunteers. Assist in the preparation of stock. St David’s Hospice Reuse Shop, Mochdre Household Recycling Centre Bron-y-Nant Road Mochdre, Colwyn Bay. LL28 4YL. St David’s Hospice has a network of shops across North West Wales, selling good quality second hand clothing, bric a brac and furniture. Although we are a charity, we run our shops like the small businesses they are. The success of our shops is a result of the invaluable help and support we get from volunteers, who work closely with the shop team leaders. St David’s Hospice has a network of shops across North West Wales, selling good quality second hand clothing, bric a brac and furniture. Although we are a charity, we run our shops like the businesses they are. The success of our shops is a result of the invaluable help and support we get from volunteers, who work closely with the shop team leaders. 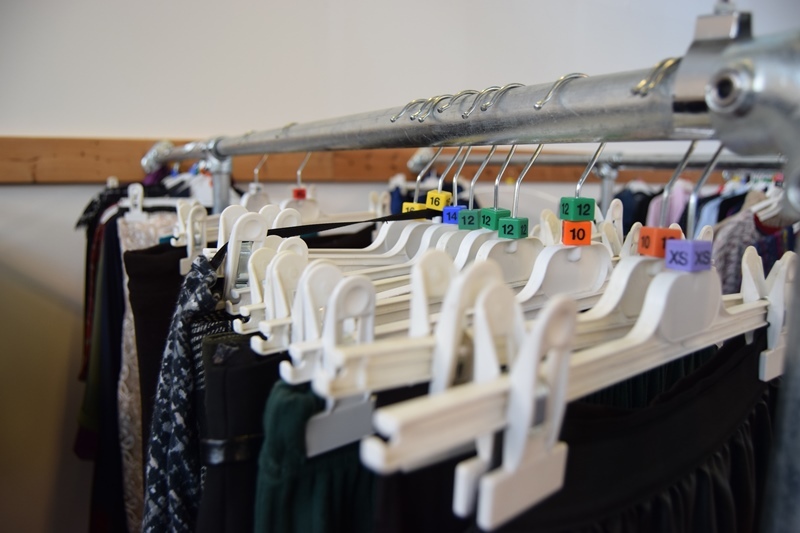 From our Donation Centre located in Mochdre we sort and distribute all donations of stock to our Hospice shops across the region. Ensure stock is loaded and unloaded safely complying with health and safety guidelines. For insurance purposes, you will need to be aged 25 or over and have held a full unrestricted UK driving licence. Based from Donation Centre in Mochdre.